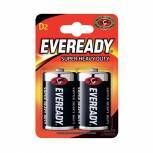 Eveready Super Heavy Duty D Batteries (Pack of 2) R20B2UP Pack of 1 Eveready Silver Battery - Size D. General purpose battery with a significantly longer life than conventional zinc batteries. No added mercury or cadmium and guaranteed against manufacturing defects and leakage. Pack of 2. 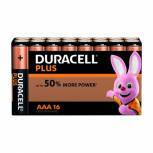 Duracell Plus AAA Battery (Pack of 16) 81275415 Pack of 1 Dependable power and quality across a wide range of everyday appliances. 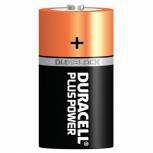 Long lasting battery designed for use in non-high drain appliances. Type - AAA. 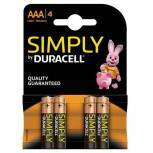 Duracell Plus AA Battery (Pack of 24) 81275383 Pack of 1 Dependable power and quality across a wide range of everyday appliances. Long lasting battery designed for use in non-high drain appliances. Type - AAA. 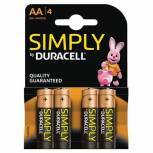 Duracell Plus AA Battery (Pack of 12) 81275378 Pack of 1 Dependable power and quality across a wide range of everyday appliances. Long lasting battery designed for use in non-high drain appliances. Type - AA. 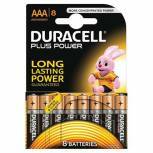 Duracell Plus AAA Battery (Pack of 8) 81275401 Pack of 1 High performance Duracell AAA batteries. Buy in bulk to cut down on costs. Stringently tested for safety and performance. Will deliver consistently high energy performance that lasts. Impressively long shelf-life. 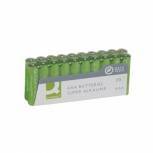 Pack of 8 batteries. 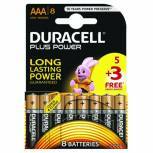 Duracell Plus AA Battery (Pack of 8) 81275377 Pack of 1 Dependable power and quality across a wide range of everyday appliances. Long lasting battery designed for use in non-high drain appliances. Type - AA. 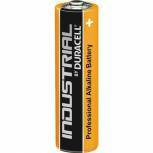 Duracell Industrial AA Alkaline Batteries (Pack of 10) 5000832 Pack of 1 Professional-quality industrial batteries. For torches, safety equipment, tools and more. Operating temperature: -20C to 54C. 7 year storage lifespan. Size: AA. Pack of 10. Duracell Industrial AAA Alkaline Batteries (Pack of 10) 81484523 Pack of 1 Professional-quality industrial batteries. For torches, safety equipment, tools and more. Operating temperature: -20C to 54C. 7 year storage lifespan. Size: AAA. Pack of 10. 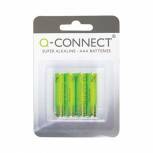 Q-Connect AA Battery (Pack of 4) KF00489 Pack of 1 General purpose high performance alkaline Q-Connect 1.5 Volt battery. They contain no added mercury. AA. Pack 4 batteries. 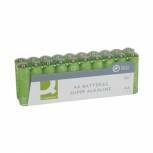 Q-Connect AA Battery Economy (Pack of 20) KF10848 Pack of 1 General purpose high performance Q-Connect alkaline battery. Contains no added mercury. AA size. Pack 20. 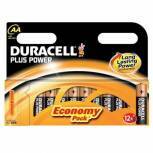 Q-Connect AAA Battery Economy (Pack of 20) Pack of 1 General purpose high performance Q-Connect alkaline 1.5 Volt battery. They contain no added mercury. AAA. Pack 20 batteries. 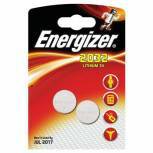 Energizer Special Lithium Battery 2032/CR2032 (Pack of 2) 624835 Pack of 1 Energiser specialist lithium batteries suitable for most digital cameras, calculators and car alarms. Lasts up to 7 times longer than normal batteries. Ref: 2032/CR2032. Energizer Speciality Alkaline Battery A76/LR44 (Pack of 2) 623055 Pack of 1 Energizer batteries for lasting power. Size: LR44/A76. Great for watches. Last for up to 2 years after purchase. 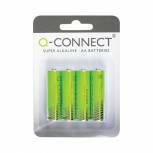 Pack of 2 batteries..
Q-Connect AAA Battery (Pack of 4) KF00488 Pack of 1 General purpose high performance Q-Connect alkaline 1.5 Volt battery. They contain no added mercury. AAA. Pack 4 batteries. 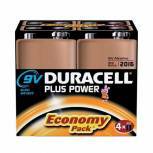 Duracell Plus Battery 9V (Pack of 4) 81275463 Pack of 1 Dependable power and quality across a wide range of everyday appliances. Long lasting battery designed for use in non-high drain appliances. Type - 9V. 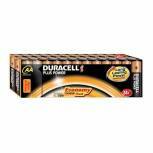 Duracell Plus C Battery (Pack of 2) 81275429 Pack of 1 Dependable power and quality across a wide range of everyday appliances. Long lasting battery designed for use in non-high drain appliances. 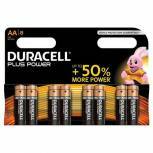 Type - C.
Duracell Plus Power 1.5V AAA Alkaline Battery (Pack of 8) Plus Power AAA 5 Pack of 1 High performance Duracell AAA batteries. Buy in bulk to cut down on costs. Stringently tested for safety and performance. Will deliver consistently high energy performance that lasts. Impressively long shelf-life. Pack of 8 batteries. 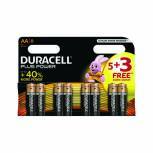 Duracell 1.5V AA Alkaline Battery (Pack of 8) Plus Power AA 5+3 Pack of 1 High performance Duracell AA batteries. Buy in bulk to cut down on costs. Stringently tested for safety and performance. Will deliver consistently high energy performance that lasts. Impressively long shelf-life. Pack of 8 batteries.